It is the spring of 1989 in New York City when Jill Dodge, a post-punk rocker from Texas, finally gets her big promotion at Mega Big Records. She is thrust into a race to find a gritty, urban rapper before the "Gangsta" trend passes their label by. As Jill and her mostly middle-class coworkers search for the next big rap star, they fluctuate between alliances and rivalries, tripping over the stereotypes of race, class, and musical genre. They work to promote their current roster of acts as well as the new rap artist they sign to a contract. It turns out, he may not be what they expected. 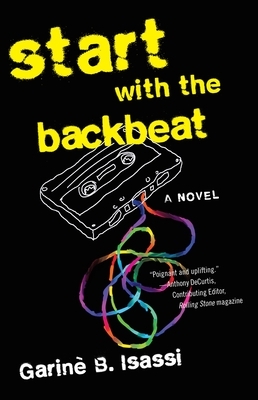 Full of original lyrics and wit, Start With the Backbeat is a compelling examination of the nuances of class, race, and culture in America―which are sometimes ridiculously serious.